Welcome to Dublin plumbers, if you are looking for a bathroom renovation we have over 30 years experience and knowledge. Our team of experts can help you with any and all advice you need. 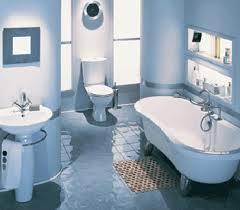 Furthermore, if you require a free a quote on any bathroom work, just call us. We can install any or all of the things you may need. It could be a sink, toilet, bath or shower fitted, perhaps? We do all of this and in addition, we can advise you on the practicalities and new trends. Over the years we have grown to become one of the most popular and trusted plumbing companies in Ireland. In our mind, there is no doubt that our high-quality workmanship has gained us this reputation. This is why our clients are always a priority for us. No matter how large or small the job we provide the same high standard of work and customer service. You can be confident that our reliable plumbing team will always leave you happy and satisfied. Our friendly team of fully qualified R.G.I. plumbers can help and assist with any kind of refurbishments and bathroom plumbing. We provide a complete variety of plumbing services. Our extremely competitive prices mean you won’t have to look elsewhere for value for money. Consequently, we are happy to give free professionally prepared, no obligation quotes. Our charging is transparent without hidden fees and we don’t operate a call out fee. We also do not charge traveling time or parking fees as some companies might. Our team have a variety of parts in their vans so as the time for “sourcing parts” is minimal. For advice on any bathroom refurbishments and home improvement ideas you may have, call us. You name it and we can do it. This includes replacing sinks, toilets, baths and showers. Call one of our expert tradesmen on 01-6874852. We’re always happy to help you.